I mentioned the launching of the new family law arbitration scheme by the Institute of Family Law Arbitrators ('IFLA') in this post on Wednesday. Family Law Week now reports that the launch has provoked a debate about the enforceability of arbitration awards. In particular, Carl Gardner of the Head of Legal blog has written a piece in The Guardian in which he asks What's legal about family arbitration? Commenting on that piece, Gillian Douglas, Professor of Law at Cardiff Law School, takes the view that arbitration awards cannot be binding, and that they "will have to be incorporated into consent orders, in line both with the Supreme Court's approach in Radmacher and the terms of s 34 of the Matrimonial Causes Act 1973". "Yes, it is agreed to be binding between the parties. Currently family law does not permit parties to make their own arrangements for financial and/or property issues on divorce or separation simply by agreement, without the possibility of court review. 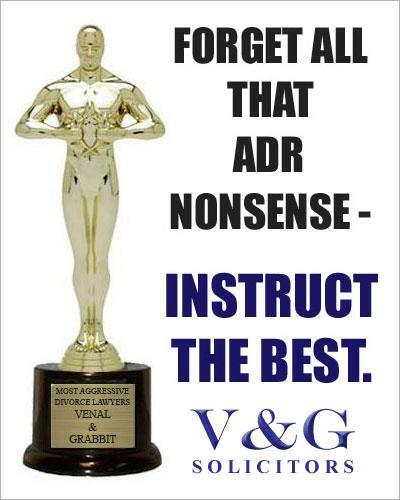 The Rules in relation to awards acknowledge this: if the subject matter of the award makes it necessary, the parties are bound to apply to the court for an order in the same or similar terms as the award (see paragraph 6.5 of ARB1). This will usually be necessary. Following recent rulings by the courts on pre- and post-nuptial agreements, it is expected that the Courts will generally uphold awards made under the Scheme. An award will be the outcome of an impartial adjudication following a recognised process – supported by the Arbitration Act – whose object is to achieve a fair result. It is expected that Courts will enforce awards made under the Scheme." "If the subject matter of the award makes it necessary" (see also Article 13 of the Scheme's Rules): The Family Law Week article quotes Grant Howell, one of the first group of family lawyers to qualify as an arbitrator, in which he gives two examples of when a court order would be required, i.e. when future claims are to be dismissed (which is likely to be in most cases) and to share a pension (which is likely to be very common). This suggests that he believes that orders will not be required for most other matters (which actually might be quite few in number), but I'm not so sure. For what it's worth, I'm with Gillian Douglas. I think an arbitration award will not be binding until it is incorporated into a consent order, as with an agreement. This means, of course, that the award must meet with the approval of the court, and that no order will be made (making the award unenforceable) if it does not. Having said that, I agree that the courts are likely to uphold awards. "The arbitrator and the parties will set the level of the arbitrator’s fees (usually on an hourly or daily basis) by agreement at the outset of the arbitration. The usual arrangement will be for the parties to bear the arbitrator’s fees and expenses (as well as IFLA’s fees and expenses) in equal shares. However, the arbitrator has a discretion under the Rules to order a party to pay more than an equal share (even up to the full amount) if that is appropriate because of the conduct of that party in relation to the arbitration." All very well, but how much are the arbitrator's fees? Well, the only indication that I've found was in this article in The Telegraph yesterday, which suggests that they may be up to £5,000 a day. There is no indication of the source of this figure, but if it is any where near typical then it is very disappointing, although not surprising, given the calibre of the first crop of arbitrators. It may not be much for the well-off, but I doubt whether many couples of moderate means would be prepared to agree to such a sum, even if a contested financial dispute application might cost considerably more. Perhaps when substantially more than the present 35 arbitrators are trained, including people from the less exalted echelons of the profession, we may see fees dropping to more affordable sums. I'm glad to see that Anita Narre, the Indian woman who risked her marriage for a toilet, has been given an award of $10,000 for her courage in 'refusing to defecate in the open', by a social service organisation. For those who haven't been following this story, twenty-three year old Anita left her husband's home shortly after her marriage last year, as it didn't have an indoor toilet, only an open-air latrine. When her husband called at her father's home to collect her, she refused to go, saying that she would only return once a proper toilet had been constructed. Her actions emboldened other local women to coax their partners into building toilets. According to a World Bank study, lack of toilets and other proper sanitation costs India nearly $54 billion a year through hygiene-related illnesses, lost productivity and other factors. I understand that Anita's toilet has now been built. Meanwhile, in America an ex-husband has been punished by a court for posting a rant about his ex-wife on his Facebook page. The magistrate in Hamilton County, Ohio, found Mark Byron in contempt of an earlier protective order, and gave him the alternatives of 60 days in prison or posting an apology to the former Mrs Byron (written by the magistrate) to his Facebook page every day for 30 days. Unsurprisingly, Byron chose the latter, although I understand he is appealing. The case has apparently raised a few free-speech issues, with Byron's lawyer saying that he did nothing more than 'vent', and a free-speech expert saying that the court's order to compel speech was a violation of the First Amendment, which prohibits the making of any law abridging the freedom of speech. Education Secretary Michael Gove has today given a speech setting out his views on adoption and the reform of the adoption system, ahead of the publication next month of the government's adoption action plan. You can read some of what he said on Family Law Week here, another report in The Telegraph here and a slightly different take on his comments in Children & Young People Now, here. 1. Any display of human empathy, understanding or insight towards a client will be considered a sign of weakness, resulting in a severe reprimand. All staff are expected to have cold blood running through their veins! 2. All of humanity's failings should be viewed as an opportunity to convert conflict into profit. 3. On no account should any member of staff accept any responsibility for the mess in which a client should find themselves at the end of a case. 4. All fee earners should ensure that all clients are fully stripped of their assets by the time a case is finalised (of course, if this should occur before a case is finalised, then the firm should cease to act forthwith). To use O'Connor's words: Wring out every penny! 5. In children matters, high fees should always be justified by reference to "the child's best interests". 6. Henceforth, the firm will have a new motto: "Bigotry, ignorance and prejudice!" Venal & Grabbit are proud to announce that they have today launched the Institute of Family Law Adjudicators. The new scheme has been launched to enable family disputes to be resolved by the tried-and-tested methods of coin flipping, drawing straws, throwing dice, or rock-paper-scissors. This scheme has been set up by the newly-formed Institute of Family Law Adjudicators ('IFLA'), a for-profit organisation created by Edgar Venal, in association with his bank balance. IFLA will govern and promote the scheme for family law adjudication in England and Wales. This will provide another means of resolving family law disputes relating to finance or property, outside of a formal court process. Speed. How long does it take to roll a dice? Flexibility. You can choose whether it be coin flipping, drawing straws, throwing dice, or rock-paper-scissors. Cost. No need to pay court fees or anyone else - the fee goes entirely to me." Another great happy marriage tip from Family Lore! It's a common problem for husbands: wives who don't like doing housework. 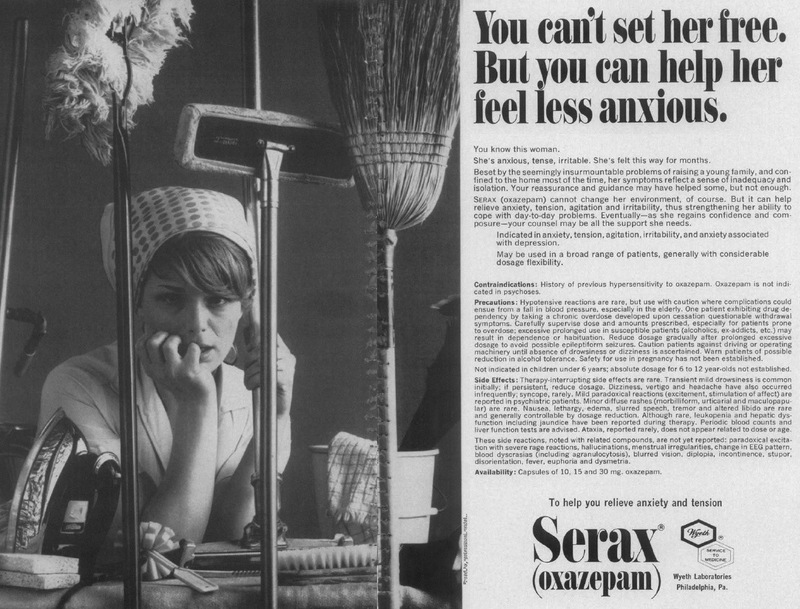 Well, here's the answer: drug them! I see that The Independent today reports that Downing Street has insisted that the Government is going ahead with its proposal to give gay couples the right to marry, despite the "escalating campaign of opposition led by a former Archbishop of Canterbury and some Conservative MPs". I just hope that that 'irrational and sinister' (see below) campaign does not cause the Government to lose its nerve. As the Independent states, some Tory right-wingers have given their backing to a new pressure group, Coalition for Marriage, which is running a petition supporting "the legal definition of marriage which is the voluntary union for life of one man and one woman to the exclusion of all others" and opposing "any attempt to redefine it". The petition has already been signed by such men of reason as the former Archbishop of Canterbury Lord Carey and the former Lord Chancellor (and well-known god-botherer) Lord Mackay. The arguments of the petitioners do not hold water, as Martin Robbins has already nicely demonstrated in this piece, that appeared in The Guardian yesterday. As he says, the campaign is "irrational and sinister", and raises two questions: why are some people so unhealthily obsessed by the sexuality of their neighbours, and is the campaign against gay marriage based on anything more than homophobia? StringVest, the holding company created by Venal & Grabbit, has launched Sold Down the River Law as a “market-disrupting brand” for its services aimed at divorcing clients. Sold Down the River Chambers and Sold Down the River Solicitors have been set up to carry out the work, backed by a customer service centre in Mumbai. StringVest is to apply to become an ABS later this year. Edgar Venal, Senior Partner at Venal & Grabbit, is chief executive of Sold Down the River Law. He didn't step down as Senior Partner to become chief executive of StringVest in June 2011. “With Sold Down the River Law we’re applying common sense business principles to a market that has been protected from real competition for too long,” Venal said. Sold Down the River Law’s customer service centre is based at Mumbai on the west coast of India but it will also have a small London office. A spokesman for Sold Down the River said solicitors and barristers working for Sold Down the River Solicitors and Sold Down the River Chambers would be split between Mumbai and London. He said Sold Down the River planned to open a further service centre elsewhere in India within one to two years. 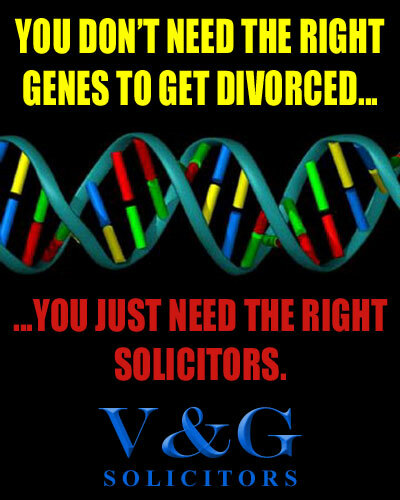 Edgar Venal is also Senior Partner of Sold Down the River Solicitors. 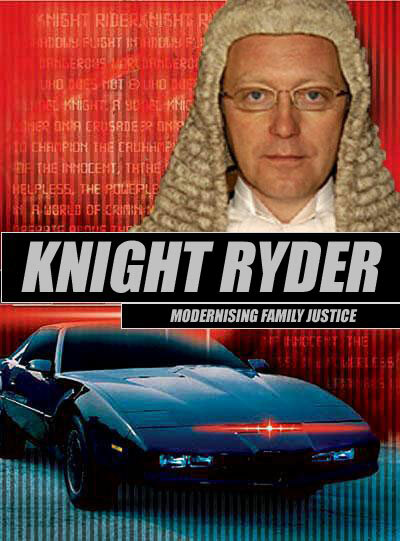 He didn't help found Motor Industry Legal Services in 1992, which provides legal services to motor retailers in return for an annual fee, but likes the idea of charging clients an annual fee. A number of leading QCs, including Quentin Pompous-Arse QC of 1 Crooked Orifice Row, Temple, have said they will work for Sold Down the River Barristers while retaining membership of their existing chambers. Sold Down the River has created an annual fixed-fee service, Legal Cash Cow, for clients who are serial divorcers. 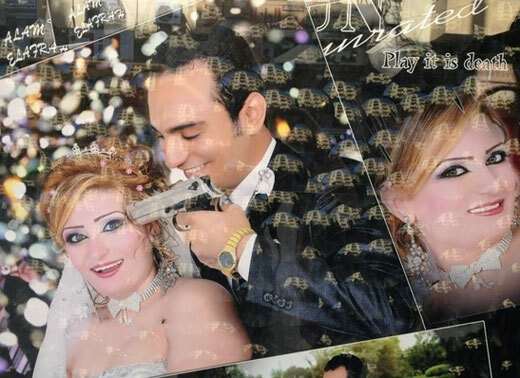 It seems to be the thing in some countries, usually those fun-loving eastern European ones, for the bride and groom to pose for rather unusual and amusing photos. The above, however, has to be one of the most hilarious I have seen. Note in particular the smile on the groom's face. I'm splitting my sides laughing. 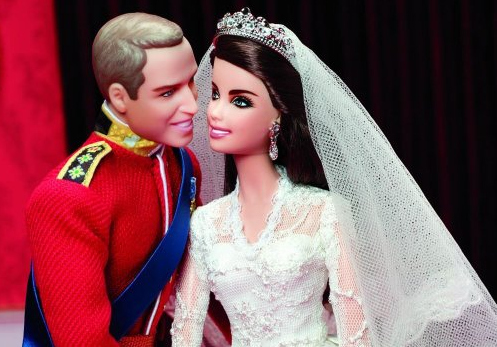 Barbie Collector Royal Wedding William and Catherine Doll Set, available on Amazon from the 7th April for only £99.99. I thought I would have a look at what other family law bloggers are saying - I haven't done one of these posts for many a long day, so it's about time I rectified that. 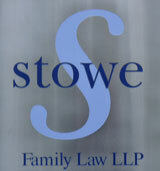 Note that I am confining this post to family law blogs relating to the law in England and Wales. Substantial posts have been a bit thin on the ground recently from Lucy Reed at Pink Tape (although I understand from her Twitter account that one might be in the pipeline) - no doubt Lucy would say that important things like earning a living have got in the way of blogging, but I don't believe that for a minute. After all, she is one of those fat cat legal aid lawyers that the better-informed members of the public are always moaning about. Last night Lucy did give us a short post about how her husband had put a heart-shaped cheese in her lunch-box yesterday (something to do with Valentine's Day). However, that only left me feeling nauseous, and not just because of the Edam cheese. New boy on the family law blogging block Jonathan James also blogs about non-family matters, but he did recently give us this post, in which he considers the government's proposals to charge for using the child support/maintenance system, and suggests that Ministers may be ignorant of how we came to have the CSA in the first place. "When your car breaks down, most people will not go online to buy a standard repairs pack and then fit the bits themselves in the hope that everything will be fine." Now, as the Director of a firm of specialist family lawyers you would expect him to say that, but I'm sure Andrew is sincere in his view. Needless to say, I beg to differ, at least so far as more straightforward cases are concerned. Someone else who I am sure would differ is Mark Keenan, founder and CEO of Divorce-Online, the first online divorce service in Europe. Mark regularly posts on Divorce-Online's blog, usually about some divorce-related news item, often about something amusing. 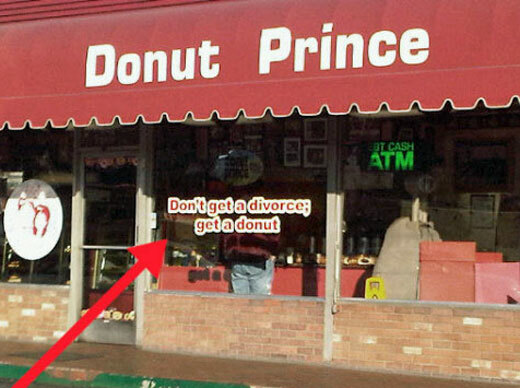 An example of the latter is this divorce joke that he gave us recently. Hmm, don't give up the day job, Mark! Marilyn Stowe continues to give us high-quality posts on serious matters of family law, whilst simultaneously running a busy firm (including recently opening a new London office) and regularly appearing in and writing for the media. She also finds time for other things, such as joining the Law Commission advisory group that will be considering nuptial agreements and more. But Marilyn doesn't just blog about serious legal matters. What makes her blog stand out is that she also writes about personal and family matters, such as this recent post. 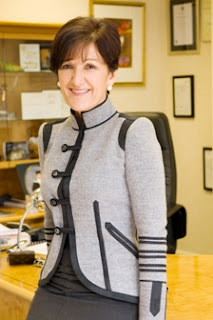 Moving on, Judith Middleton, now with Macks Solicitors, continues to blog in her own unique and amusing way. Often, her posts start off about something quite unconnected with family law, but Judith's mind does not always follow mundane conventional paths, and she sees connections where others may not. A nice example was this post, about the elusive Higgs Boson. "I write about the family justice system’s flaws and in seeking out and exposing those flaws, I also try to find solutions. And all the while the welfare of the child is central to everything Researching Reform does." Natasha has recently written a post about an Australian initiative on family violence and regularly writes Question It! posts, in which she invites readers to give their opinions upon some topical issue. Finally (and apologies for missing out other family law blogs - there's only so much you can fit in one post! ), we come to two blogs that are looking somewhat unloved, one particularly so. 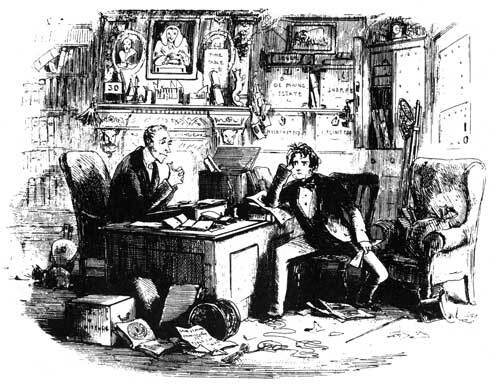 Firstly, Confessions of a Family Lawyer, which has not been graced with a post since the 3rd of January, and secondly the even sadder case of Bloody Relations, which has only had one brief post in a year! Come back, Coafl and Jacquig, all is forgiven! 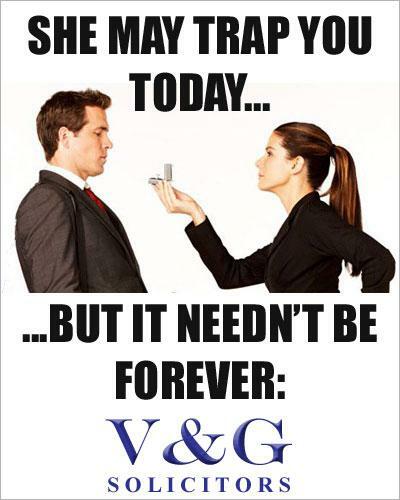 These days, men are always looking for new and unique ways to propose marriage (well, some men are). The trouble is, most of these methods are completely lacking in class. 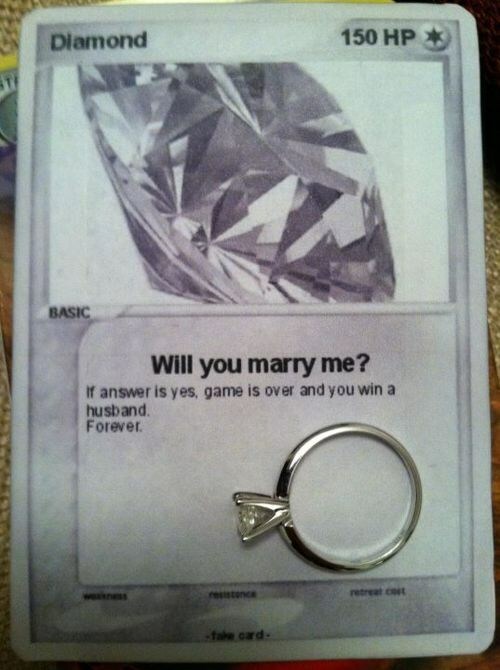 Well, help is now at hand for those who want to propose in style. A Ruby Engagement Ring: a "stunning ruby stone flanked by shimmering diamonds". Wow. Limo Service, so you can "pick up your sweetheart in style before popping the question." Hopefully, one of those really classy stretched limo jobs, with a jacuzzi in the back. Flowers, because "no proposal is complete without a spectacular bouquet of her favorite flowers". How could it be? Fireworks: a perfectly-timed fireworks display will vault this proposal into the record books. After all, you have to have fireworks, don't you? Photographer: photos taken of the happy couple before, during and after the moment. If you're lucky, you might get other customers in the background, caught stuffing their ultimate cheese lover's pizzas into their gobs. Videographer: capturing video of the moment she says “yes”. Or the moment she runs away in tears, as appropriate. Last, but not least, the $10 Dinner Box: "hands-down the most vital, and appetizing, piece of the package". As Kurt Kane, Pizza Hut CMO says: “If we’re able to fit pizza, breadsticks and dessert into one box for only $10, why stop there? Our customers want the best of everything, from their food to memorable life experiences. 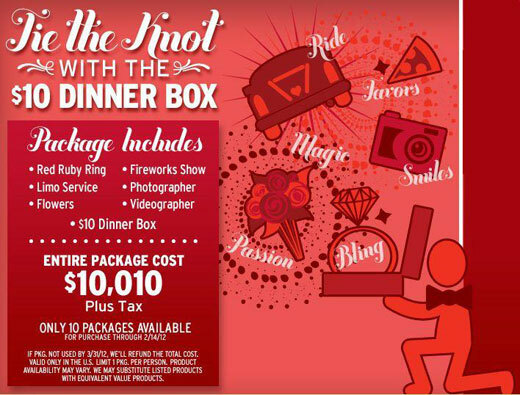 So we decided to make one of those experiences – the marriage proposal – second-to-none and offer it at PizzaHut.com right alongside the new $10 Dinner Box.” Who could argue with that? And it gets better: if she says 'yes' (she will say yes, won't she? ), "a Pizza Hut-themed wedding at Pizza Hut headquarters could be in order." It's been something of a quiet week for professional news. I suppose I should mention that the SRA has extended the deadline for renewing practising certificates to the end of February. This applies to all those renewing, irrespective of name. The SRA does emphasise that it is still important to renew as soon as possible, presumably in case of (further) problems. "...means that the intake is substantially skewed towards those with independent means who are often privately educated. This not only discourages able candidates from other backgrounds, but more insidiously maintains the public’s impression that the bar and the judiciary are predominantly public school- and Oxbridge-educated, and from a class apart." 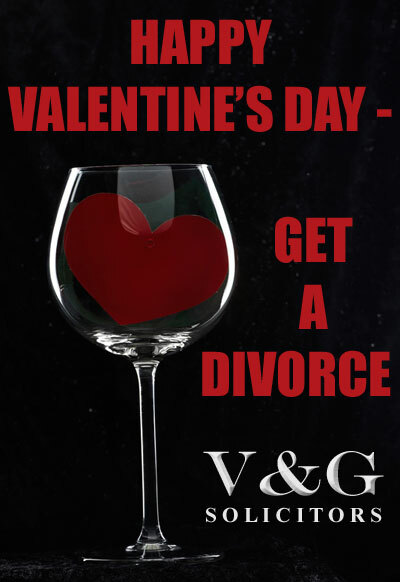 What could be better - and more fun - than telling your wife live on the radio on Valentine's Day that you are divorcing her? "Across our fair land there are hundreds of poor blokes who thought they married an angel who, in fact, turned out to be Satan in a dress. So Robert and Jono have put it on themselves to help one of those blokes out. 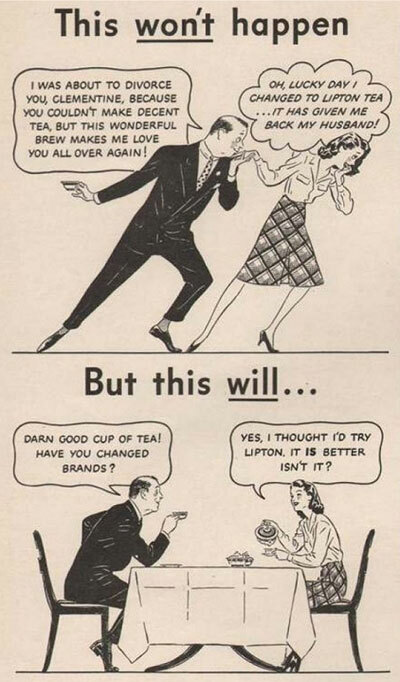 But this won't be your standard marital break-up. This will be aired live on the radio. 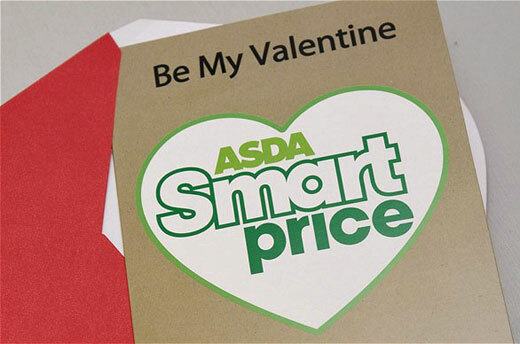 On Valentine's Day. Robert and Jono have found their Divorcer - Sam - and are helping him prepare to get his life back by ditching the ball and chain." As for Sam, who won a competition to be the lucky 'divorcer', he says that he: "Is confident nothing is going to go wrong." Well, what could go wrong? UPDATE: It seems that a lot more could go wrong than The Rock FM bargained for. 'Sam' (who was actually (thought to be) the wife, rather than the husband, which doesn't fit with the quote I gave above) was in fact one half of a lesbian couple who sabotaged the radio station's contest. For the details, see this report in NZ Herald News. I was reminded of this just this morning, when I read a comment on this post that I wrote on Monday. The commenter, clearly a fathers' rights supporter from his name, repeatedly (mis-)used the word 'misandry' when talking about a poll in the Guardian regarding fathers' contact rights. I hate to disappoint, but whilst there may be a few misandrists working in the family justice system, there is no conspiracy against fathers. Why should there be? For example, the accusation is often made against family lawyers, but it simply doesn't make sense: family lawyers act for mothers and fathers - why should they discriminate against half of their clientele? When I acted for a father in a residence/contact dispute I did the same job as I did for a mother. 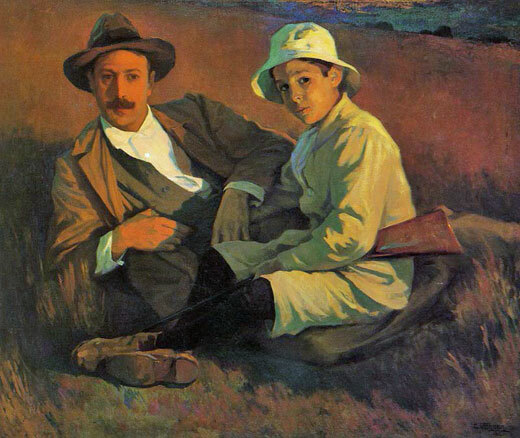 The law, in fact, is gender-neutral (there is nothing in the Children Act that favours mothers over fathers), and it has long been acknowledged by the courts that that the welfare of children is usually best served if they continue to have a proper relationship with both parents (see, for example, Re O (Contact: Imposition of Conditions)  2 FLR 124). So why, a fathers' rights supporter would say, are the vast majority of residence orders made in favour of mothers, and why are the courts so bad at enforcing contact orders in favour of fathers? As to the former, this simply follows from the fact that, in our society, mothers are usually better placed than fathers to be residential parents - it is simply down to what is best for the welfare of the child, not any conspiracy against fathers. As to the latter, this ultimately (i.e. once it has been established that the mother is entirely at fault, which is actually quite rare) flows from the obvious practical difficulties in taking enforcement action against someone caring for one or more children. If she ignores other methods of enforcement, the ultimate sanction is prison, but then: (a) who then looks after the children and (b) what will be the effect upon the children of such action? 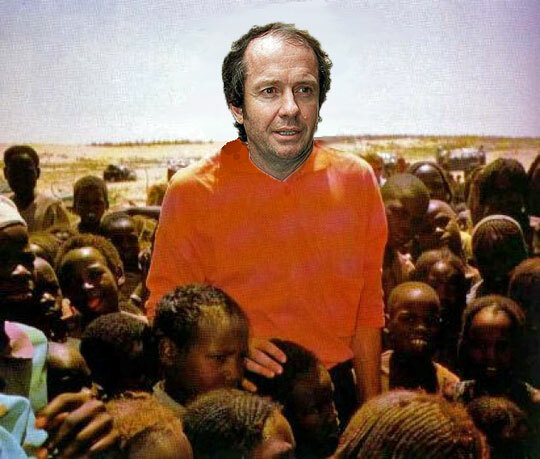 Another aspect of the 'world is against me' paranoia is, of course, a desire by some fathers to blame anyone and everyone for the situation they find themselves in, when they only need to look in the mirror for the source of their troubles. I'm not for one moment saying that all fathers who fail to get contact with their children are to blame for that, but everyone who has worked within the family justice system has seen many examples of fathers who are their own worst enemies. Aggression towards the mother and hostility towards the court (and, when things don't go their way, even towards their own lawyers) are not likely to achieve satisfactory outcomes. So, my suggestion is that the 'victim mentality' of many fathers is not only wrong, it can be counter-productive, masking the true reasons for some fathers losing contact with their children. It is a common theme amongst fathers' rights supporters that the law is to blame for so many fathers losing contact with their parents. Such an argument loses some of its strength when one thinks that in 90% of cases arrangements for children are agreed between the parents without recourse to the courts, and that in 2010 the courts refused only 300 of 95,000 contact applications. Nevertheless, fathers' rights groups call for a change in the law, giving fathers equal 'rights' in respect of their children, usually along the lines of a presumption of shared residence. They seem to think that this is the panacea that will lead them to their parenting nirvana. You can't blame them; you only have to watch the news or read the Daily Mail any day to see 'experts' and politicians calling for a change in the law to resolve the latest issue of the moment. More often than not though, when one examines the problem in detail one realises that the present law is quite adequate, or that the problem is just not so straightforward that a simple change in the law will cure it. This issue of shared parenting has, of course, been in the news this week with the publication of the Government's Response to the Family Justice Review. Contrary to the recommendation of the Review, the Government has chosen to give the matter further consideration, believing "that legislation may have a role to play in supporting shared parenting". Well, I don't want to dash anyone's hopes, but I think it may be somewhat optimistic to expect any such legislation to have any significant impact upon the outcomes of future children cases. Whatever the guidance from parliament, the courts will still be dealing with the same difficult practical problems as before, with the same limited options as to satisfactory outcomes. In any event, I have news for you: the courts have already for some years been fully conscious of the possibility that some sort of shared residence/parenting arrangement may be in the best interests of the children (see, for example, D v D (Shared Residence Order)  1 FLR 495), and many shared residence orders have been made. Any change in the law is likely to have little effect upon the way the courts already look at things. London, 7th February 2012: Leading firm of divorce lawyers Venal & Grabbit think all husbands should be advised to use MIAM™, their new method for hiding assets from greedy vindictive wives. Short for 'Move and Insulate All the Money', MIAM™ teaches wealthy husbands unbeatable methods for salting away property, in such a way that avaricious wives and interfering judges will never be able to find it. Senior Partner Edgar Venal said: "These days many lily-livered lawyers fail in their duty to protect rich husbands from money-grabbing wives, resulting in many such men losing large parts of their hard-earned fortunes. We at Venal & Grabbit teach husbands the principles of MIAM™, to ensure they keep everything they deserve. We believe that all lawyers should advise their husband clients to use MIAM™ ...provided, of course, that they pay us an appropriate fee for doing so." UPDATE: Having checked with Julie, the Guardian has now amended its headline! 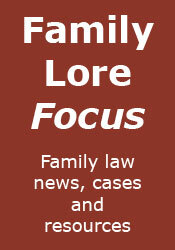 In a bumper edition, Natasha and I bring you the top family law news stories from the last week. 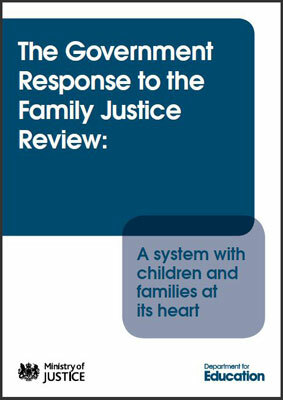 The Government has published its Response to the Family Justice Review. 1. The recommendation that charges to local authorities for public law applications should be removed: The Government says that the Review "did not find any evidence that court fees prevented local authorities from fulfilling their statutory duty", and that: "The cost of these fees has been built in as appropriate to the Spending Review settlements for 2010 for those departments affected." 2. The recommendation that the time limit for the completion of care and supervision proceedings should be set at six months, with a stipulation that a trial judge proposing to extend a case beyond six months would need to seek the agreement of the relevant Designated Family Judge/Family Presiding Judge, as appropriate: The Government responds: "the Panel’s proposal that extensions beyond the time limit should be agreed by a senior judge would encroach on judicial independence and may create further delay. For these reasons, the Government does not accept this part of the Panel’s recommendation, but to ensure that there is transparency about any decision to extend a case beyond the six-month time limit and that the proportion of cases requiring extensions can be kept under review, the reasons for the extension will be recorded and stated in court." 3. The recommendation that no legislation should be introduced that creates or risks creating the perception that there is a parental right to substantially shared or equal time for both parents: The Government feels that further consideration of this is needed. It says: "On careful reflection, the UK Government believes that legislation may have a role to play in supporting shared parenting and will consider legislative options for encouraging both parents to play as full a role as possible in their children’s upbringing." A working group of Ministers has been established to develop proposals for legislative change, which will be brought forward for wide debate and consultation later this year. 4. On the Review's recommendations regarding enforcement of orders: "The Government does not agree with the Review’s conclusion that additional enforcement measures are not the answer. Whilst the courts already have a number of enforcement powers (a fine or imprisonment for contempt of court; the imposition of unpaid work; and the award of compensation for financial loss suffered by the other parent) there are practical and evidential hurdles which in practice mean that these sanctions are little used. The Government therefore intends to explore the feasibility of providing the courts with wider enforcement powers so that in appropriate cases these can be used to address wilful disobedience in respect of the court’s order. Parents should also be made aware at the outset of proceedings about the potential consequences of disobeying any order made by the court and the Government believes that this could help to prevent enforcement from becoming the central issue." 5. On the recommendation that the Government should establish a separate review of financial orders to include examination of the law: "The Law Commission is already taking forward a project to look at how provision might be made for pre-nuptial, postnuptial and separation agreements to be given legal effect, so as to provide couples with more control and certainty about how their assets are to be divided on divorce. Ministers have agreed that this project should be extended to include a limited reform on the substantive law on Financial Orders relating to needs and non-matrimonial property. The project will take around 18 months to complete. The Law Commission will then undertake a separate project to make recommendations for improving the enforcement of Financial Orders. These two projects together will improve the substantive law and make it easier to enforce Financial Orders once made by the courts." In other words, the recommendation is rejected. As to what happens next, by April this year the Family Justice Board will be established and the legislative changes that will be required will be clarified. 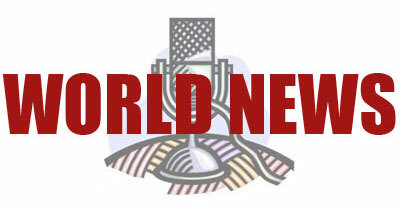 The Government will report on progress in implementing the wider reform programme by April 2013. For some reaction to the Response, see this article on Family Law Week, this article on Family Law and this article in The Guardian. Family Law also has a reaction from James Carroll, Co-chair of the Law Society's Family Law Committee, here. Hayley Trim on Family Law has also given her analysis of the Response, here. One of the stories that I would have mentioned in last week's In Practice post but for the uncertainties of the Law Society Gazette website was the speech by the Law Society President John Wotton to the Saïd Business School in Oxford, in which he visited a subject that I have touched upon here before, i.e. fusion of the two halves of the profession. In a speech entitled Fission or Fusion, he expressed the belief that the division between solicitors and barristers will "wither away" as a result of the reforms set in motion by the Legal Services Act, and said that he thought it was "inevitable" that the professions will "need to revisit the question whether [they] should continue to be separately trained, represented and regulated". Not everyone agrees that such a future is inevitable. One (unsurprisingly anonymous) commenter to last week's Gazette story expressed the view that: "If anyone thinks the Bar is going to do other than look after its own, they are barking mad." Notwithstanding that, however, the Gazette reported yesterday that the chair of the Bar Standards Board Baroness Deech is actually thinking along similar lines to Wotton, at least when it comes to training. In a speech to students at Oxford University last week she proposed that barristers and solicitors should share most of their training, saying that the new structures in which lawyers can practise, and the severe shortage of pupillages, have called into question the way both branches of the profession should be trained. Her idea is that 'solicitors and barristers could do most of the core professional training together and then branch out to the bar or solicitor side towards the end' (quite where the branch should be located is not clear, but obviously somewhere in what is now the vocational stage). Such a change, she said, 'would help those uncertain which branch of the profession to train for, as well as those who realise that they made the wrong choice'. Meanwhile, turning to more prosaic matters, the SRA has reported that it is clearing up its backlog of online practising certificate renewal applications, although if I read the report correctly, as of last Friday only 7.5% of applications had been completed, which doesn't seem much to me, given that the deadline is the 21st February (the 13th February for those whose names commence with the letters A to D). For an account of one solicitor's experience of using the new system, see this letter that was published in the Gazette yesterday. And finally, congratulations are in order for the Institute of Legal Executives, which received a Royal Charter last week. ILEX has thus become CILEX. Protecting Our Children: Were the parents given proper support? I posted a couple of days ago about the BBC's new series on child protection, Protecting Our Children. The post attracted a number of comments, the general consensus of which was that in the case depicted in Monday's first episode Bristol Social Services had not done enough to provide support and guidance for the couple concerned, Tiffany and Mike, to help them keep their children, rather than have them taken into care. It is therefore with some interest that I read today that family advocacy charity Family Rights Group has expressed exactly the same concerns. Now, as I said in the comments to my previous post, it may be that social services did offer support and guidance - inevitably, a film such as this only gives a very brief picture of events over a long period, although if they did then the film's failure to portray this was quite a serious oversight on the part of its makers. Just a quick post to publicise an unmissable offer from my fellow blogger Marilyn Stowe. Next Wednesday the 8th February from 2pm to 4pm she will be answering readers’ questions on the subject of the financial implications of divorce. For further details, see this post on her blog. 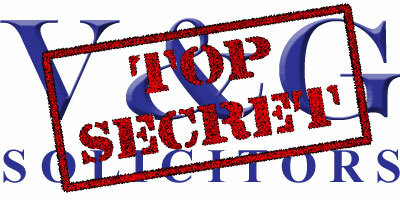 Marilyn's advice will be given entirely free of charge and without liability. Note that, necessarily, Marilyn will only be able to give general advice. This is an extremely generous offer by one of the country's top family lawyers, so if you have a question relating to financial/property matters after divorce, then go and post it on Marilyn's forums.